Time to catch up with what's been going on with the fifth graders! 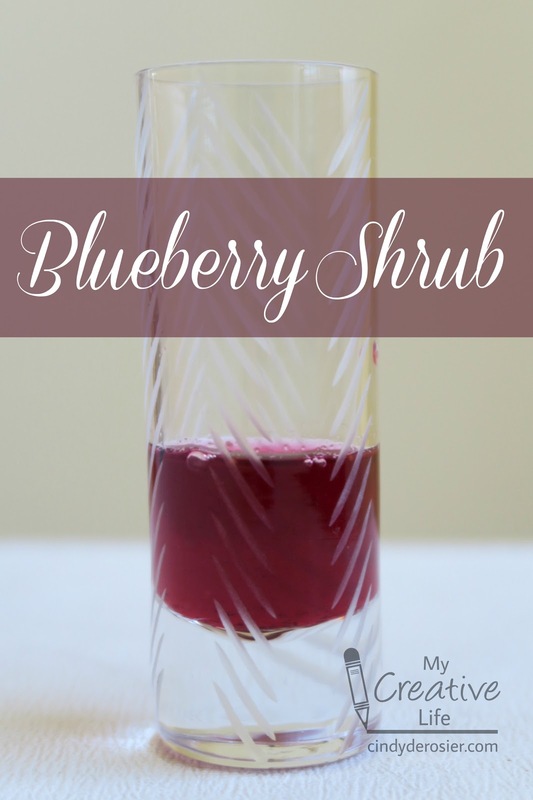 The same day we made Hasty Pudding, we did the prep work for our next historical recipe, Blueberry Shrub. Shrub dates back to colonial times. 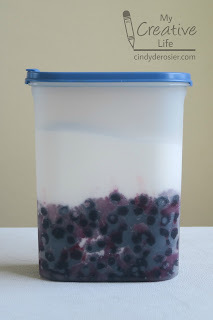 It was one of many ways that people could preserve fresh fruit in the days before refrigeration. 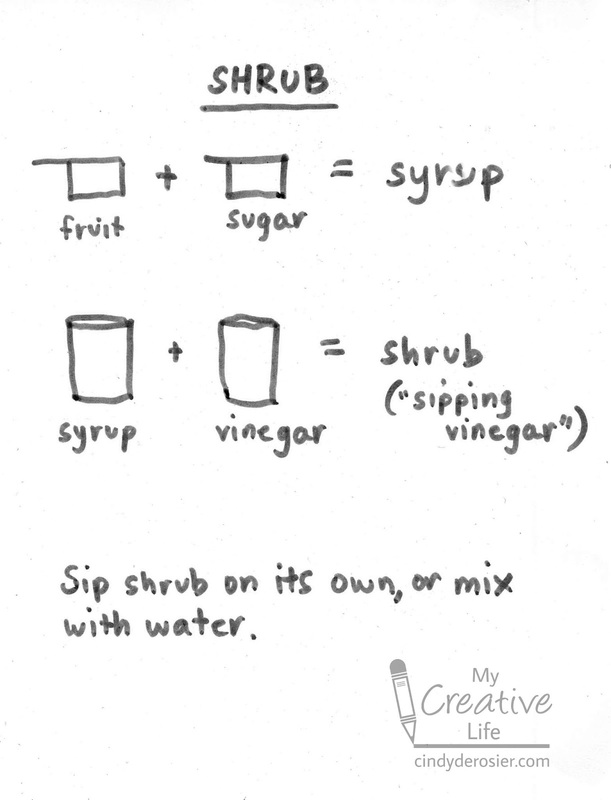 To make a shrub, combine equal amounts of fruit and sugar. (It's a lot of sugar, but trust me.) We used blueberries, but you can use other fruit. Let this sit at room temperature for 2 days. Stir once or twice. 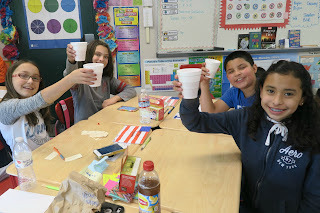 The sugar won't entirely dissolve, but most of it will. 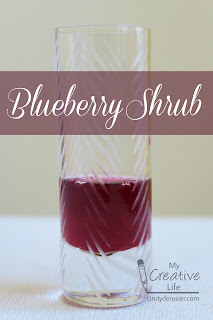 At this point, you can proceed with making your shrub. I'm only in the classroom once a week, so I popped it into the refrigerator until my next teaching session. Here's the 'recipe' in picture form. It really is ridiculously easy. Enjoy! 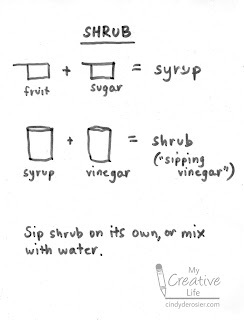 I'm going to be trying this with other fruits, starting with rhubarb. It's been awhile since I've fed my obsession.